Panzica Construction officially broke ground this week on the first part of a five-year, three-phase, $150M expansion and renovation as part of a joint-venture at the Cleveland Museum of Natural History. Phase one of the project includes construction of a 300-space parking garage off Wade Oval to the north side of the museum and the new, outdoor Perkins Wildlife Center on the south side, off Jeptha Drive. When complete the 300,000-square-foot facility will offer a host of new features including a 78% increase of the interior exhibit galleries, a 500-seat assembly hall and a museum café with outdoor seating facing Wade Oval Drive. “We are excited to be a part of this rebirth of Cleveland,” said Tony Panzica, CEO of Panzica Construction. “Expanding and modernizing these great public institutions downtown like the Natural History Museum is a huge part of our business and we look forward to seeing the community even more engaged with this revitalization.” The museum will remain open throughout the expansion and visitors will be able to watch the transformation during the construction process, set for completion in 2020. Click here to take the video tour of the CMNH campus renovation. 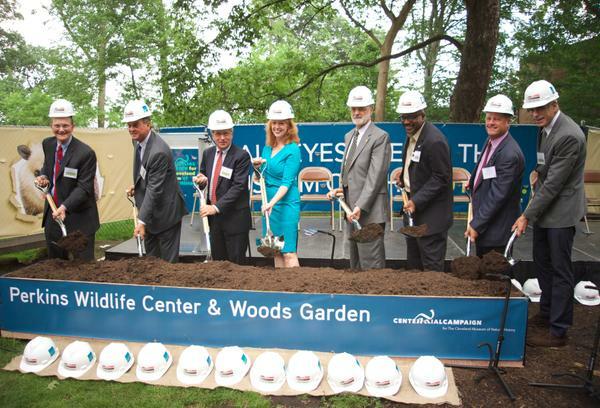 Tony Panzica, joined by Cleveland Mayor Frank Jackson and members of the Cleveland Museum of Natural History staff and board celebrate the groundbreaking of the new Perkins Wildlife Center & Woods Garden. June, 2015.